It was a few days before the Intern Photo Challenge submission was due. The interns at NASA’s Johnson Space Center slowly shuffled into our weekly meeting, and you could hear the usual bouts of laughter muffled from the outside. It wasn’t long before someone brought up the Intern Photo Challenge. As a fiercely competitive and creative group, we knew we had to create something unique to clutch Johnson Space Center’s first win. We were in a special position being at our location since many of the suggested photos surrounded Mission Control or other iconic Johnson locations. This was to our advantage, but we thought it would be too simple to settle for the obvious. Additionally, gaining access to Mission Control overnight would be just as grandiose a challenge. A small group of us decided that it would be best to pick a photo that wasn’t originally suggested. Logan Bennett spearheaded the photo search with thoughts that we needed something more eye-catching. After searching through hundreds of photos on NASA commons he had found the one. Logan and Barry Berridge held a brainstorm session on how to tackle this multifaceted photo. Many questions that needed to be answered included things like, “How do we create the smoke?”, “Where are we going to get the outfits?”, and “How are we going to do this with two days left?” It was clear early on that we were going to need to create a plan. This photo was far too complex to “wing it.” Logan made a dozen phone calls to local party and Halloween stores searching for something to create the orange smoke. He eventually concluded that we were going to need to purchase an actual smoke signal. Alex Kafer handmade the hats, the orange flight suits were purchased at Space Center Houston, and the remaining materials were collected at a local Walmart. We gathered our team and created our plan. Our team consisted of (me) Jenna Kay Foertsch pictured on the left, Logan Bennett pictured in the middle, Dallas Capozza pictured on the right, Alex Kafer not pictured because he was under water holding us up, Meredith Murray was the genius behind the camera, and Barry Berridge was support. NASA JSC Interns Jenna Kay Foertsch, Logan Bennett, and Dallas Capozza get comfortable in the water in preparation for taking their challenge photo. It was time to take the photo. Saying that this “photoshoot” was madness is an understatement. We picked the nearby lake, Clear Lake, as our photo spot. Only, we went to the wrong lake. We somehow ended up at the lake across from Clear Lake infamously known as Mud Lake, or, alligator haven. Of course, we didn’t know we were in Mud Lake until various Johnson employees later saw the picture and all did a double take on our location choice. Regardless, we plunged into the cold water. In the photo, the three astronauts have their legs tangled up. As we were determined to be as accurate as possible, we flailed in the water for quite some time trying to get our legs up. Alex had to eventually dive in and push us up for us to appear as if we were floating. What followed included a flurry of comedic events. We dealt with a wet flare, hats flying away, and interns floating in opposite directions. We finally pulled it together and lit the flare. I wish I could say that our expressions of discomfort were an imitation of the photo and not a result of us flopping around. 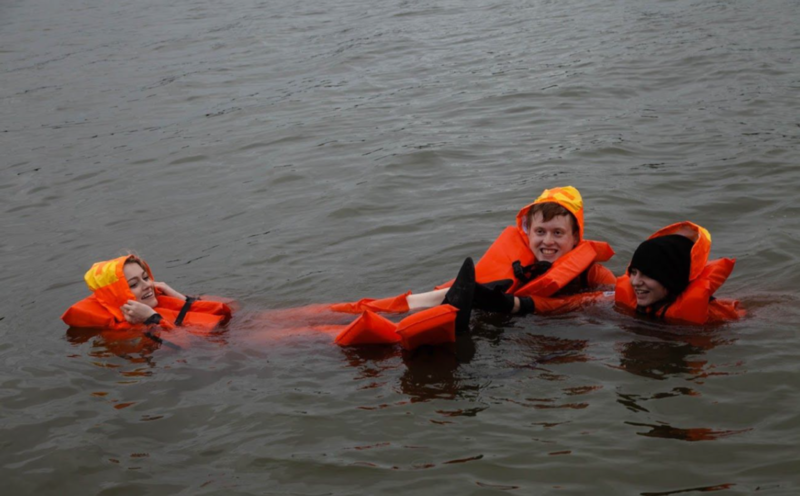 We eventually crawled out of the water and proceeded to walk around in our drenched flight suits. Passersby gave us various funny looks. 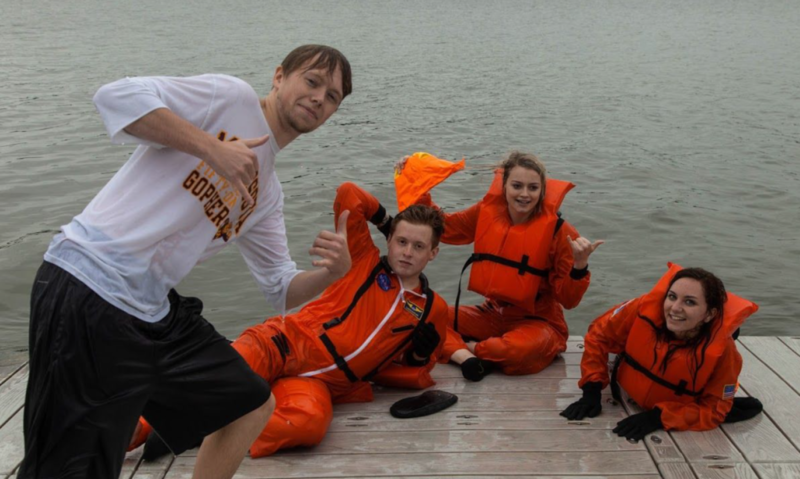 The looks could have been from the wet flight suits, or they could have been that a group of kids just crawled out of Mud Lake, either way there was nothing to see here, just a few interns. Alex Kafer, left, provided (literal) support from underwater during the photo shoot. After Alex, Meredith, and Logan enhanced the photo, the true challenge began. Our true creativity came with our efforts to advertise our photo. Many of our interns shared the photo with their friends, families, and colleges. Alex, Logan, and Dallas spent quite some time reaching out to individual people to get attention to the photo. I contacted Space Center Houston, Bay Area Houston Economic Partnership, and Citizens for Space Exploration for assistance. Being from the Space City was an advantage that we knew we needed to take advantage of. We also contacted groups such as Space Hipsters on Facebook and other individuals on Twitter and Instagram. I had also previously participated in a NASA Social and posted it in the alumni group. The space community never fails to surprise me with their kindness and support. NASA JSC Interns who participated in the fall challenge pose at the fall exit ceremony with the first place plaque they received. We were elated when we found out we had clutched the victory. It was the weekend of our intern beach trip and we ran up and down the shoreline in celebration. In a true NASA fashion, our creativity, hard work, and perseverance paid off. 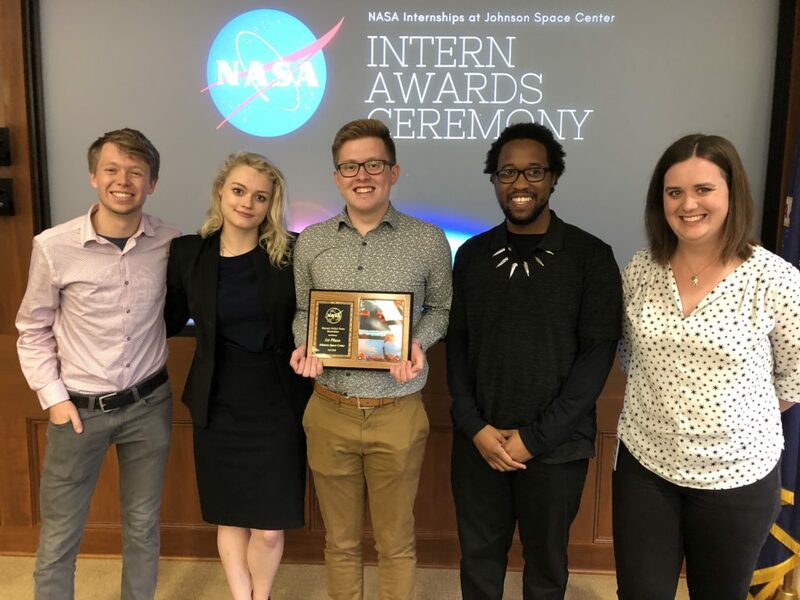 Jenna Kay Foertsch, a Business and Marketing Education major from the University of Minnesota Twin Cities, is a NASA Intern at NASA’s Johnson Space Center. 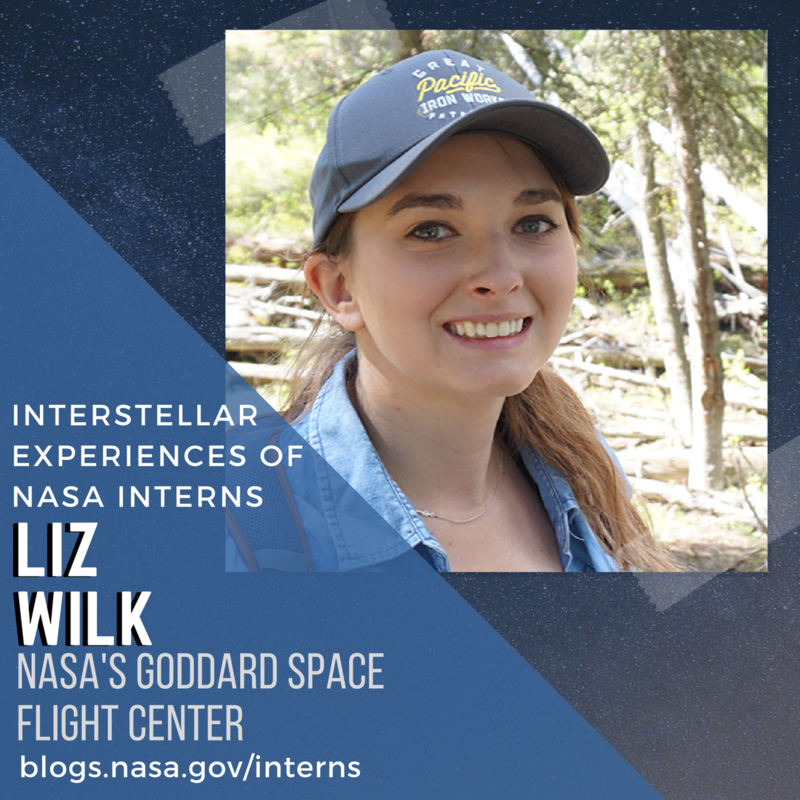 In her internship she helps to manage and improve a co-working space at JSC, utilizing WordPress capabilities, creating data dashboards, and producing strategic content for the Center Operations Directorate.